Environmental thinking informs all of the practice's projects, whether the client's brief requests an explicitly green building or not. This approach applies to our design of new buildings and considered re- use of existing buildings. 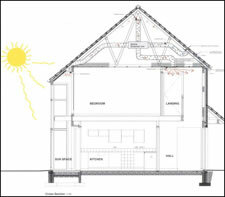 ARPL have achieved sustainable design accreditation and have a certified Passiv Haus Designer. Very often we achieve improvements without any additional costs, often by reducing the need for mechanical services and their associated expense. Our buildings are designed to maximise both natural light and ventilation and we also use thermal mass to reduce temperature fluctuations. We endeavour to utilise insulation levels beyond the requirements of the Building Regulations to ensure minimum energy use for heating and cooling. In the specification of materials our designers continually assess the environmental impact of specific materials and where available select those which have least impact on the natural environment, including reclaimed and recycled products. Our conservation and renovation work involves the imaginative exploration of alternative uses for building whose original purpose is no longer appropriate. 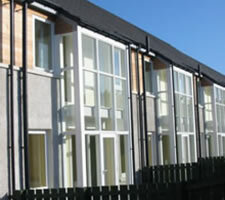 This allows the continued use of the existing building fabric with the benefit of reduced consumption in construction. The careful retention and re-use of sound materials minimises the depletion of limited stocks, such as traditional Scots slate or locally quarried stone. This approach contributes to the support of sustaining traditional construction techniques and specialist skilled craftsmen. 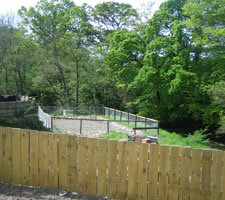 Click here to view the project gallery sustainable design section.